Want to go on a vacation where everything is tiger themed with actual tigers? 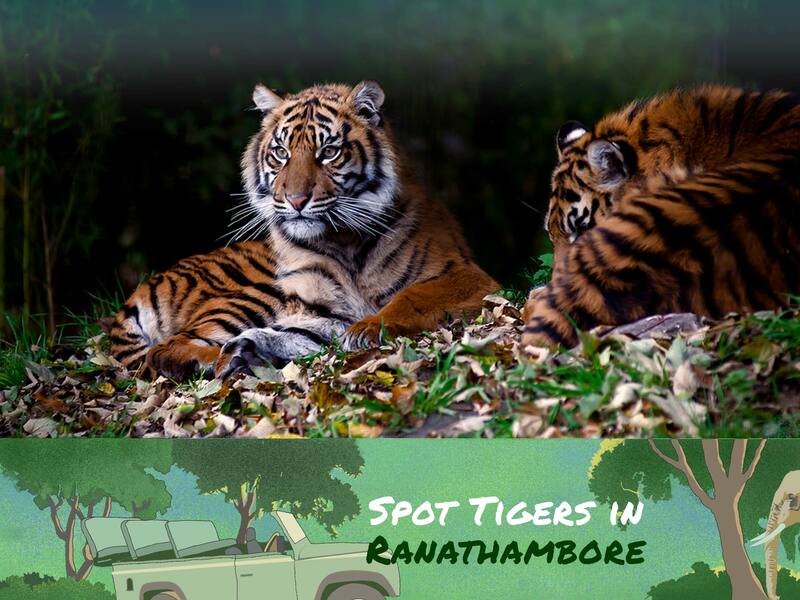 Go to Ranthambore National Park for a jungle safari, and you won’t be disappointed. Even some of the hotels have names like The Tigress and The Sher Garh Resort. Apart from the star attraction, Ranthambore is home to peacocks, a number of migratory and native birds. And if you’re exhausted from the safari and want to relax, sit by Surwal Lake to soak in the beauty of Ranthambore. And we have the perfect reading material for your trip – pick up a copy of The Tigers of Taboo Valley by Ranjit Lal. You’ll be more than ready to explore the jungle by the time you get there. Take a cab from Jaipur to Ranthambore National Park.